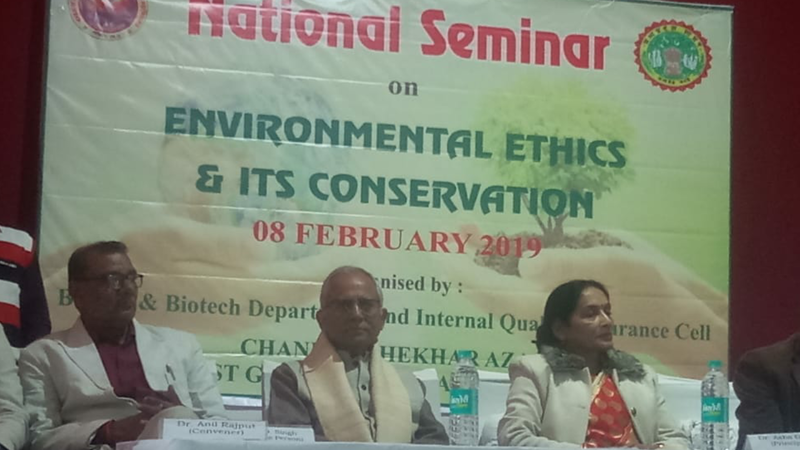 Sehore: The speaker’s at a national seminar on Environmental Ethics here today were unanimous in pointing out that the alarm bells are ringing and there is need for all to realize the importance of conservation. 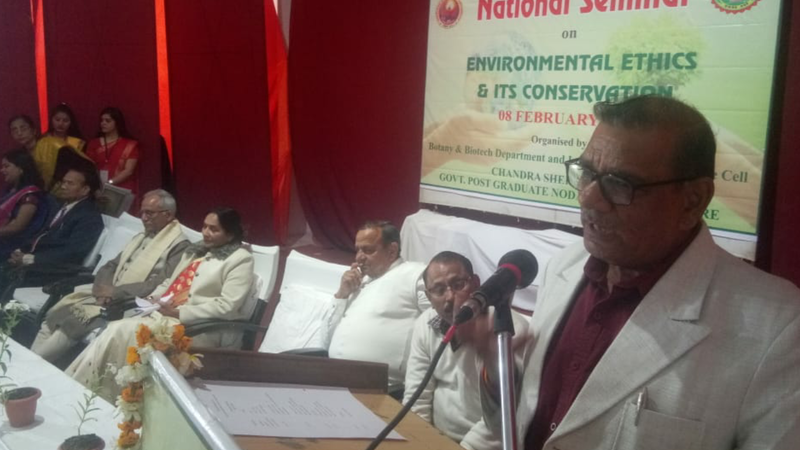 The national seminar on “Environmental Ethics and Conservation was organised by the Botany & Biotech Department and Internal Quality Assurance Cell of Chandra Shekhar Azad Government Post Graduate Degree College. Speaking as Chief Guest former College Principal Prof GD Singh drew attention towards multinational contraptions that used diabolic tactics to invade and destroy the eco system and illustrated the point by drawing attention to the demand for frogs that left paddy fields devoid of frogs and this led to multiplication of pests in geometric progression and thus was created the demand for pesticides. Addressing the opening session, college Principal Dr Asha Gupta especially motivated the students and urged them to focus on research and build awareness about environment and factors threatening it. She asked them to appreciate their role when it comes to the conservation of environment.